The interactive online tool that boosted youth voting turnout at the 2014 election is back. Massey University’s Design+Democracy Project designed On the Fence to encourage young New Zealanders to vote in next month’s general election and increase voter turnout. A game-like questionnaire that guides people towards finding a values match for them among the political parties, it goes live at midnight on August 14 and builds on the success of the On the Fence interactive tool developed for the previous general election, which independent research found made the largest difference to youth voter turnout. The Design+Democracy Project has been exploring how to facilitate young people’s engagement with political processes. It developed bi-partisan tools that help young undecided and first-time voters engage directly with political issues, matching their personal values with those of political parties. Project director senior lecturer Karl Kane says young people (18-24) have rejected many aspects of party politics and their participation rates are consistently around 30 per cent below those aged over 50. Barely a third of those young people who are enrolled vote and many are not enrolled. “They want dialogue, collaboration and deliberation because the left and right paradigm doesn’t work for them; they are more interested in issues, solutions, and policies that are values-based,” Mr Kane says. “Many young people don’t think politics addresses things they think are most important, and they lack confidence to know whether their vote is aligned with their values. 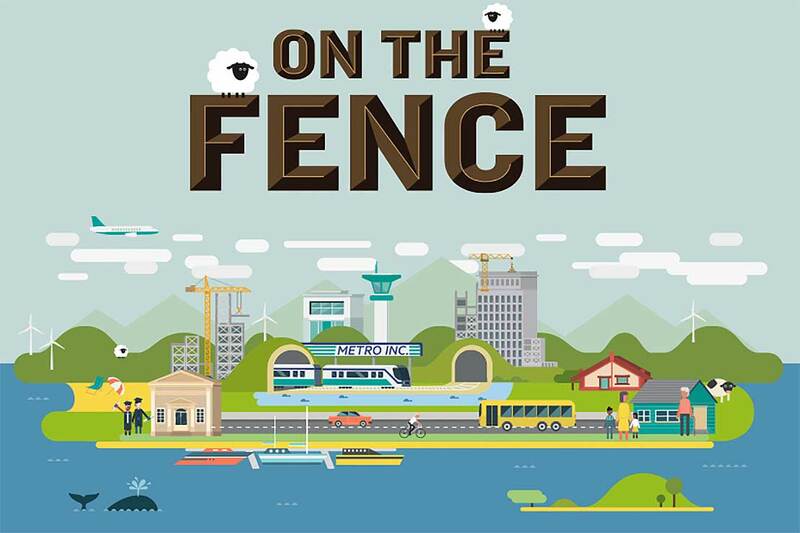 Tim Parkin, the senior research designer for the project, says the appeal of On the Fence is that it is in language that is accessible to a youth audience, has an approachable and game-like look and feel that is fun and shareable. “An invaluable innovation to On the Fence 2017 is the use of the ‘slider scale’ question to show just how much political decisions are a balancing act and a matter of differing priorities,” Mr Parkin says. “For each issue the participant is able to ‘find out more’ and understand the topic better. Political parties asked for direct input and all signed off on the questions within the tool and provided their own responses. The questions have also been peer reviewed by political specialists. In the lead-up to the 2014 general election On the Fence attracted over 170,000 unique users over four weeks. Independent research indicated it encouraged 30,000 young New Zealanders to vote, 7 per cent of the eligible youth population. College of Creative Arts Pro Vice-Chancellor Professor Claire Robinson says Massey University wants to address the complex issues facing New Zealand in the 21st century. Key to this is to have people engaged in not only the conversations, but also democratic processes. On the Fence 2017 has had support from the Electoral Commission, the Innovation Partnership, the McGuinness Institute and Radio New Zealand. For more information visit the Design+Democracy website. Who will win the 2017 election and why?